Yeah, 3:00 AM ET, 11:00 AM PT. Most Wrestle Kingdom shows run around 4 hours. Also, that ring construction thing you see is exactly that. They are airing the construction of the ring tonight lol. Get me a PSN app for this, and I'm on board. I'm currently watching the New Year Dash live stream and just noticed that I'm not even logged in. This has to be some kind of glitch, right? I know Flipps didn't work for the live stream of WK. But, does it work for the replays. Like, can I watch it now and cast it to the TV, or does it still not work? Yeah, replays can be cast just fine. Regarding live, I wish I knew this then for Flipps. But should NJPW have a show on Flipps again, there is a trick to casting the live show. On the Chromecast app itself (the one to setup the device) there's a section for "Cast Screen". It will show literally anything on your phone/tablet. Just select "Cast Screen" and choose your Chromecast device. So if it's running live on Flipps it'll cast perfectly on the TV. Wish I knew this otherwise I wouldn't have bothered with the traditional PPV method. 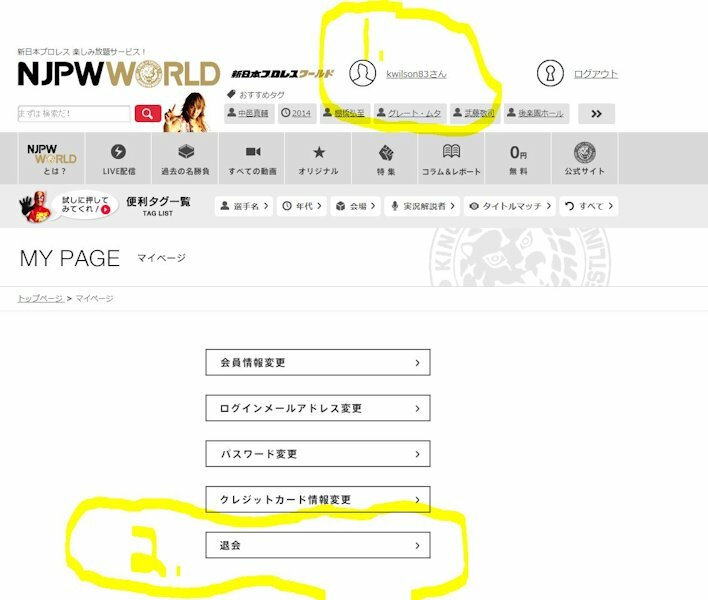 Same can be said for the NJPW World viewer app. If it plays, it can cast. Going to come in handy for when I get around to the New Years Dash show. How do I go about cancelling? I thought it was a one-off payment, but seems to be recurring. Want the option to cancel if I don't think I'm getting the usage out of it. Your account page, 3rd option is to modify your CC info. 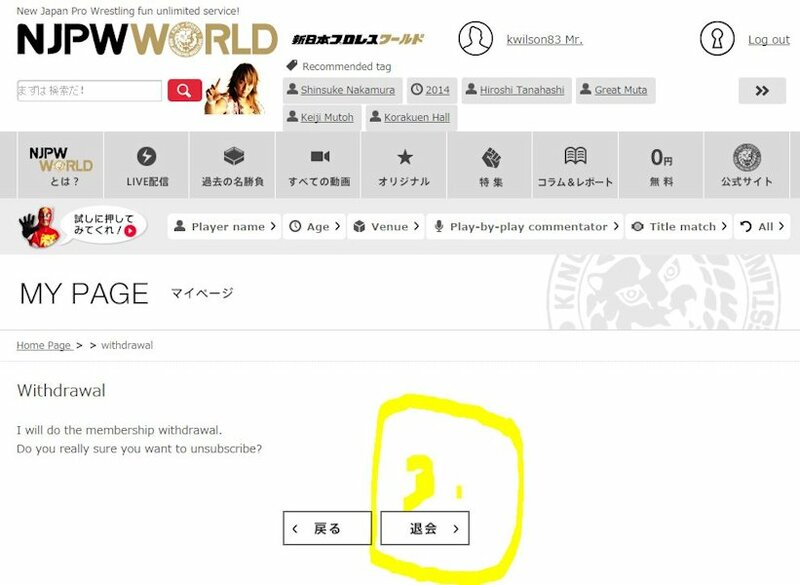 I *think* the second button is the cancel, but I don't read katakana, so its a guess. I would also imagine blanking the info and hitting confirm would cancel as well. Finally signed up today. Can't wait for a Roku/PS3/whatever app. Chromecast just doesn't work well for me. Man I watched like 10 minutes of that. It was cool though. I am getting mad at them. They should know that there are a lot of English speaking fans interested. I hope they start adding subtitles to all of these mini-documentaries they have been posting. I am sure this has been asked a million times but how the heck do I sign up? Should I just go ahead and use Chrome for the translation or do they have an English site now? Also, what device are you using for your TV? What works best? Thank you. 2) If this actually does work, I think God needs us to spread the word. Before I do the free trial, will there be some live events we'll be able to watch on NJPW World in February? One more Road to the New Beginning show on the 8th. New Beginning in Osaka on the 11th - Main is Tanahashi versus Styles for the IWGP title. New Beginning in Sendai on the 14th - Main is Nakamura versus Nagata for the IC title. New Japan Road on the 27th. So, just before I buy one, has anyone gotten the Chromecast to work with NJ World without using a browser spoofer? Kidani announced today that he wants to purchase the FMW, UWF, and WAR footage. Oh my God, yes. Purchase as in put the footage up on World? a fan asked Kidani on twitter "I want you to buy tape libraries of FMW, UWF International, SWS, WAR and other promotions for NJPWWorld.". Then Kidani replied "I really want to do it." It's already a great deal but the more archived footage the better. I have an affinity for all of those promotions. While I imagine bargaining will be tough, it sounds like Kidani will be working to get footage from companies outside of New Japan. Exciting. Have they been adding additional classic New Japan footage?